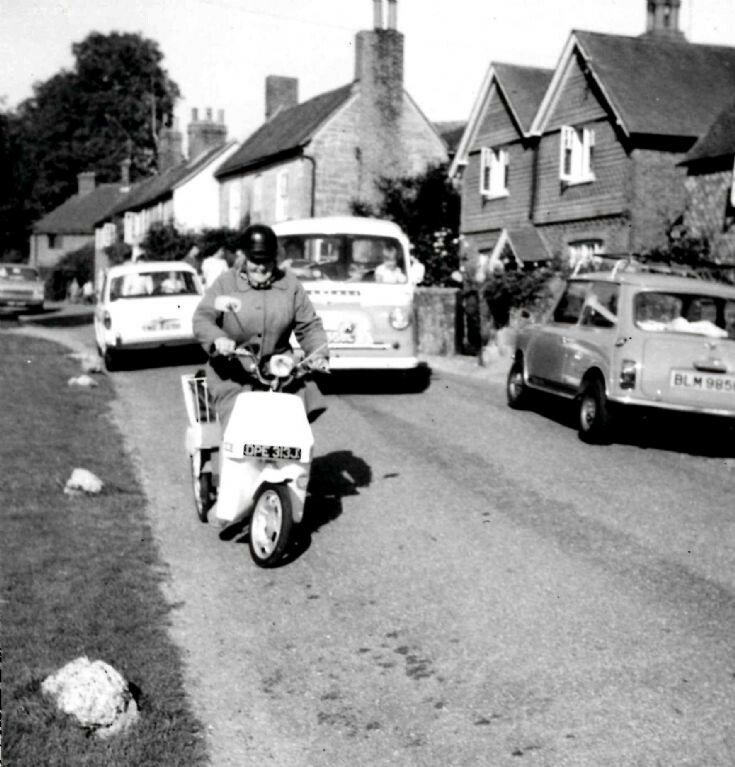 The photograph shows my Gran, Esther Shopland, on her moped riding away from our house, Chilmans, in Slaugham village. She lived at the Gate Lodge, at the entrance to Tilgate Forest Lodge in Pease Pottage. In the background, I am sitting in the passenger seat of the Bedford van with my mother, Valerie, in the driver’s seat. I remember my Gran used to collect me from Handcross Primary School and take me home by sitting me in the basket at the back and drive down Handcross Hill. I was not tied in, nor provided with a crash helmet!